I came up with the idea for these cookies a while back and while I am sure there is a recipe somewhere floating around on the internet for them, I decided to take a chance and create my own recipe, albeit with some assistance from a few of my favorite cookie recipes. 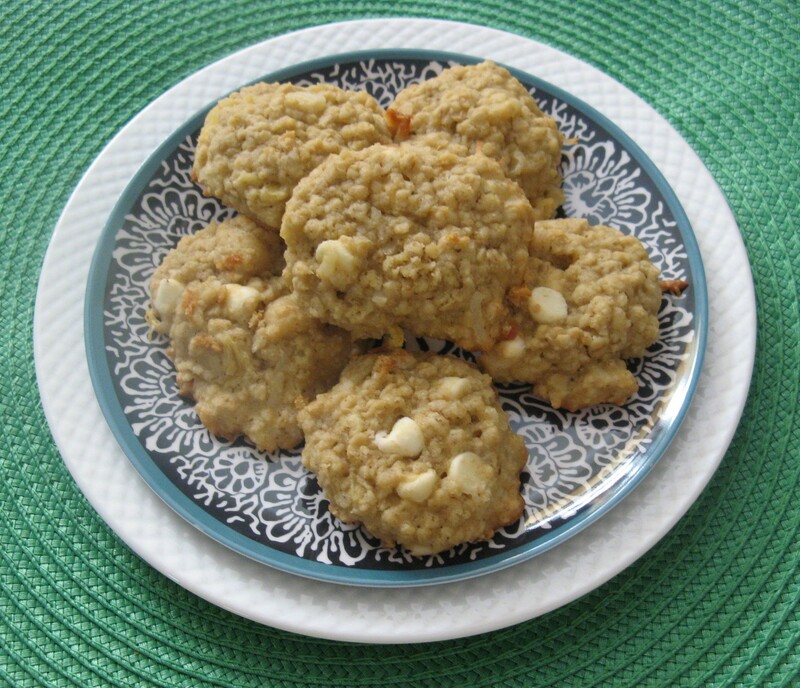 I really had no idea how they would come out, but, in the end they were delicious and incredibly soft and the add-ins of the white chocolate chips, shredded coconut, crushed pineapple and macadamia nuts complemented one another wonderfully. 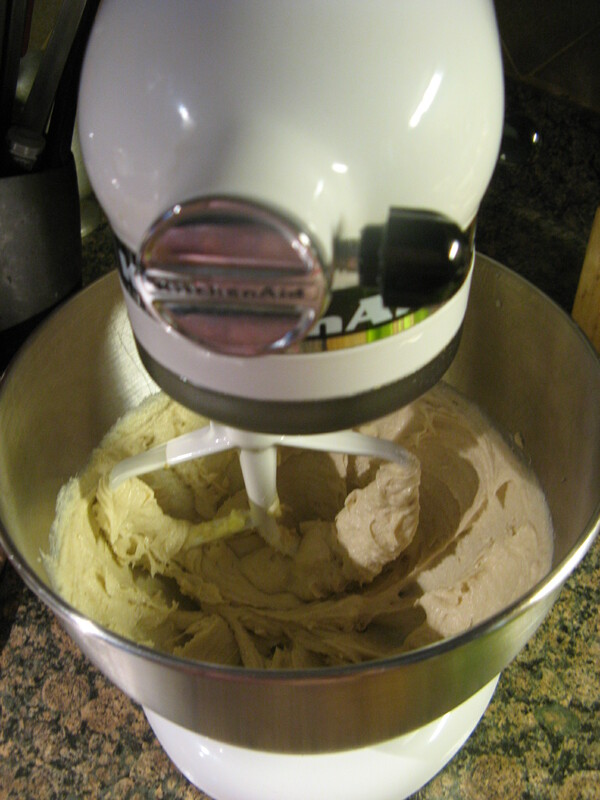 To begin I mixed together the dry ingredients – flour, salt and baking soda – and set it aside and then moved on to creaming together butter, sugar and light brown sugar. 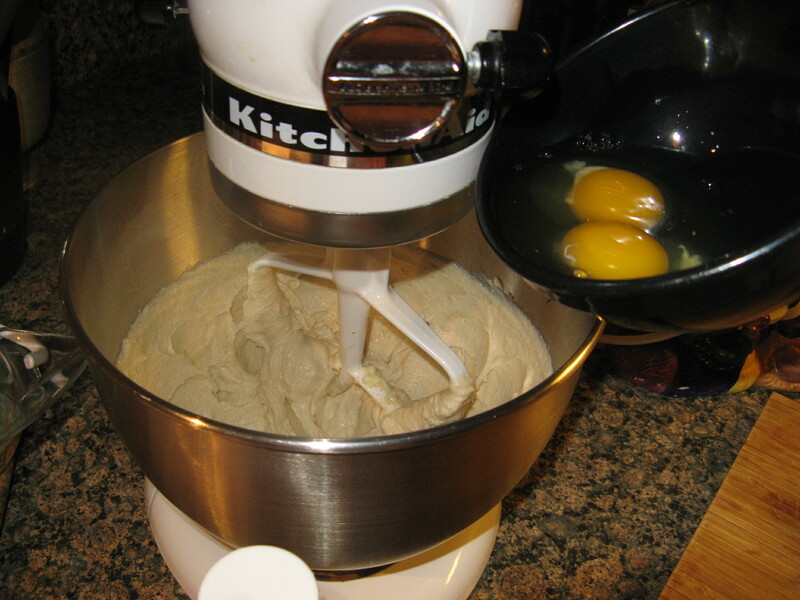 I then added in two eggs – one at a time. After adding in the flour mixture – I really did use flour for these cookies even though I don’t have a picture of it – I then added in quick oats. And finally I folded in my “tropical ingredients:” white chocolate chips, sweetened shredded coconut, crushed pineapple and macadamia nuts. 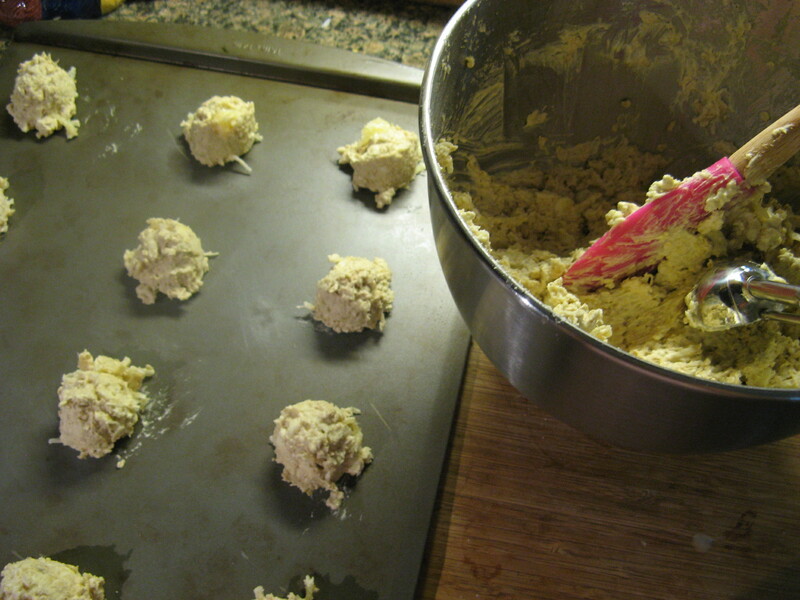 After folding in all of the add-ins I used a cookie scoop to drop mounds of the dough onto an ungreased cookie sheet. I baked them in a 325 degrees preheated oven for 11 minutes and then let them cool on the cookie sheet for five minutes before transferring them to a wire rack to cool completely. 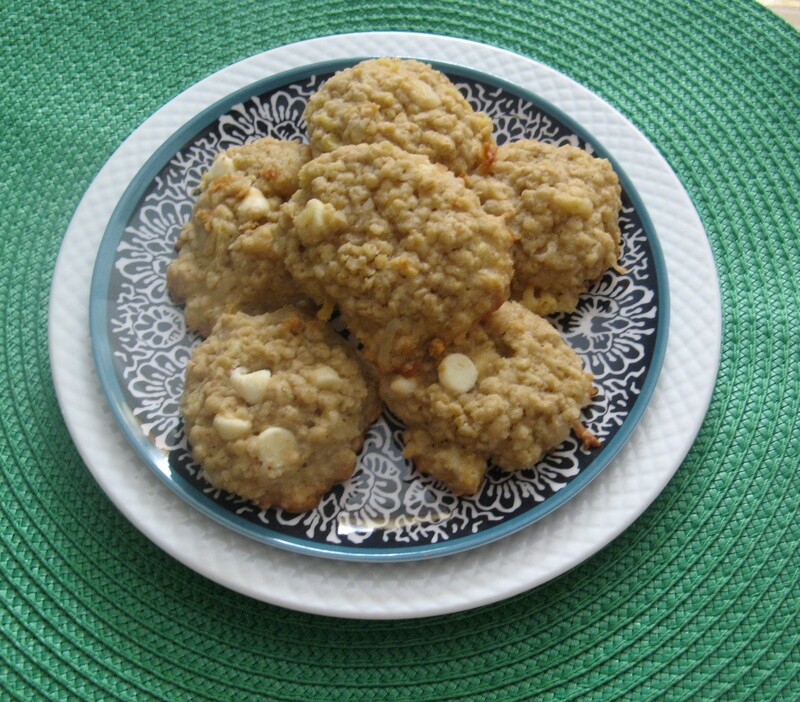 And while you may think these cookies would be on the sweeter side with the sugars, sweetened coconut and white chocolate chips, the measurements of each of the ingredients produced a cookie that was just the right amount of sweetness to satisfy your sweet tooth. 3. Cream together the butter and the sugars on medium speed until creamy. Beat in the eggs one at a time and then add in the vanilla extract. 4. Add the flour mixture to the butter mixture and then the oats. 5. 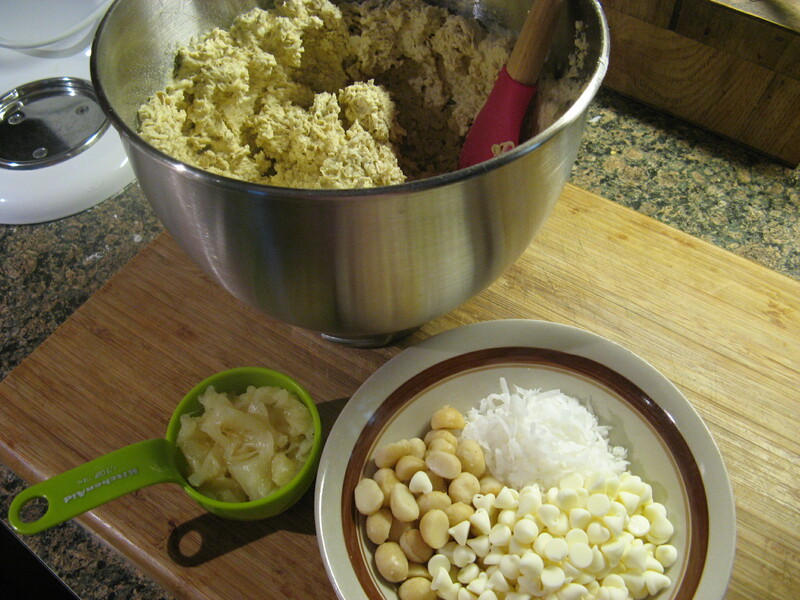 Fold in the white chocolate chips, shredded coconut, pineapple and macadamia nuts. 6. 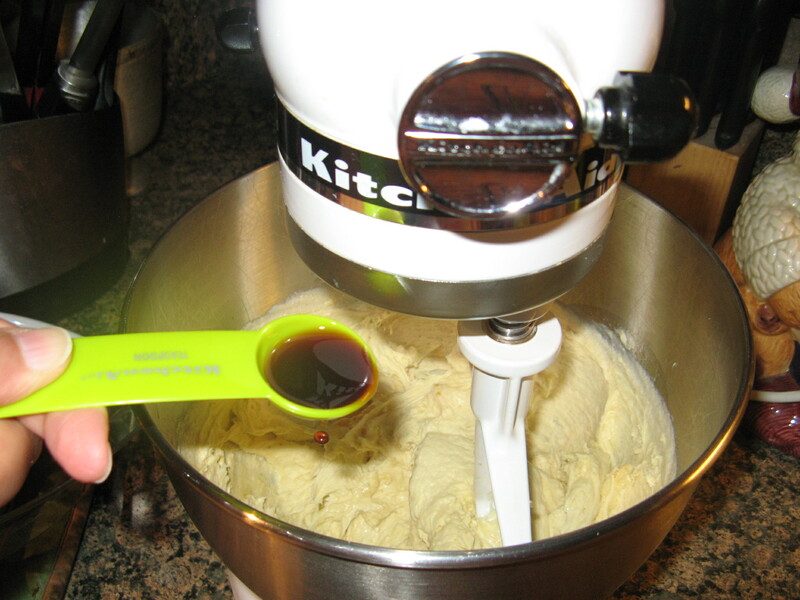 Drop rounded tablespoons (a small cookie scoop) of dough onto an ungreased cookie sheet and bake for 11 minutes. 7. Allow the cookies to cool 5 minutes on the cookie sheet and then transfer to a wire rack to cool completely. 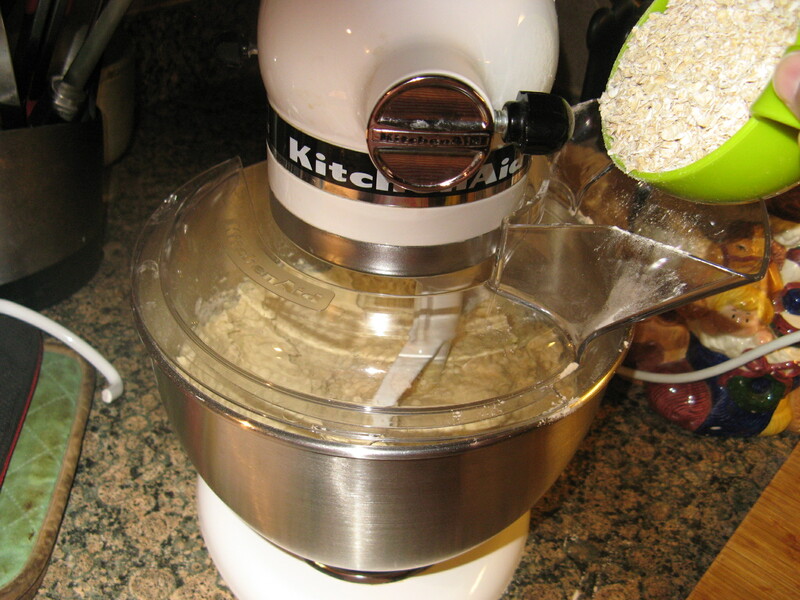 Thanks… Oatmeal cookies are one of my favorites as well. Hey… Yes, it’s been a bit since my last post!